Foliar-Pak® Carbosential® Fe Turbo yields outstanding residual color, increased nutrient uptake, and improved overall plant growth. 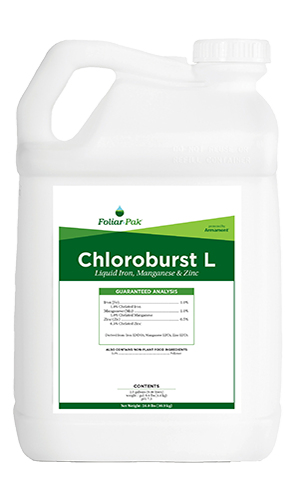 Improved formulation using additional natural plant metabolites that increase foliar and root uptake of iron. Foliar-Pak Carbosential Fe Turbo yields outstanding residual color and increased nutrient uptake. 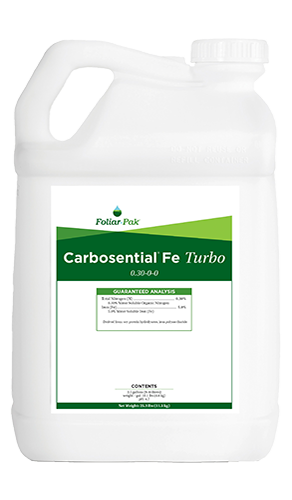 Foliar-Pak Carbosential Fe Turbo provides timely delivery of iron to the turf through both foliar and root absorption. Foliar-Pak Carbosential Fe Turbo contains plant available amino acids that significantly increase nutrient uptake and utilization. 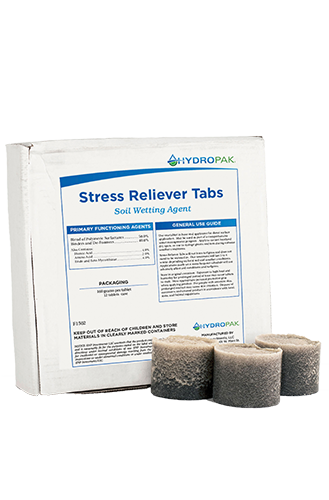 Amino acids help the plant maintain proper metabolic functions. 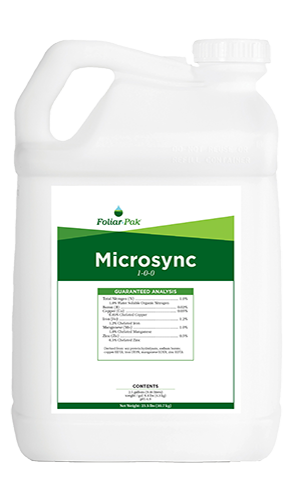 Foliar-Pak Carbosential Fe Turbo feeds and stimulates the microbial populations. Application rates for Carbosential Fe Turbo are much lower compared to traditional iron micronutrient products. At 10 to 14 oz. per acre, one 2.5 gallon container will treat the same area as one 30 gallon drum of other products.